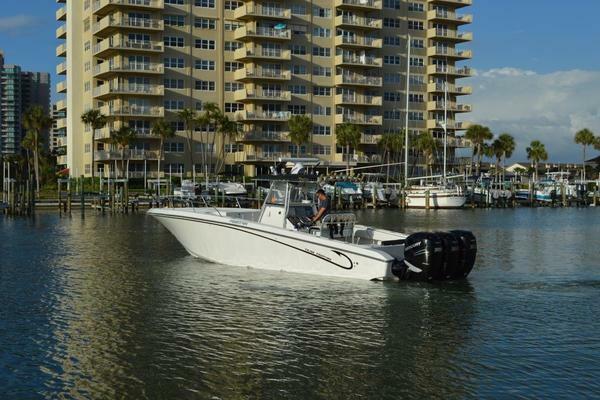 ThisRe-Powered in 2015Carolina Classic is powered with twin 2015 CumminsQSC 600HPcommon rail turbo diesels with approximately 400hours.The electronics are a Furuno Navnet X2, Robertson ap11 Autopilot, Garmin 4210 Chartplotter and Cummins smart craft digital engine gauges.Her Marlin tower is equipped with upper controls and electronics. 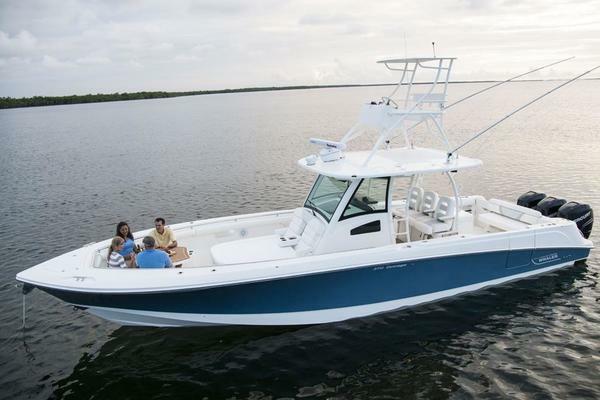 The twin in-deck fish boxes provide plenty or space for fish or storage. The tackle and rigging station/bait station is equipped with fresh water sink, ice box, secure tackle and rod storage. The large transom door makes it easy to land the those big ones or to exit and enter the boat.The cabin sole is Teak and Holly, Corian galley counter top, flat screen television, reverse cycle air conditioning and heat, and an oversize bunk for a comfortable overnight trip for that offshore fishing trip or weekend get away. Either way she has it all! United Yacht Sales New Jersey would love to guide you through a personal showing of this 35' Carolina Classic 35 2001. This yacht for sale is located in Falmouth, Massachusetts and priced at $229,999. For a showing please contact us by filling out the form on this page and we will get back to you shortly!